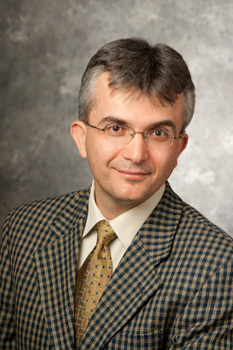 Dr. Alptekinoğlu received his Ph.D. in Operations Management from the UCLA Anderson School of Management in 2004. Prior to joining Smeal in 2013, he held faculty positions at University of Florida and Southern Methodist University. His broad research interests involve three elements of product strategy: Variety, price, and availability. (1) Variety: mass customization, retail assortment planning, multiproduct competition, post-purchase variety. (2) Price: advance selling, pricing service capacity, product-line pricing. (3) Availability: inventory pooling, inventory competition. Strategic design and management of supply chains. SCM 450W Strategic Design and Management of Supply Chains (3) This course is about the strategic design and effective operation of supply chains. It will help prepare you for supply chain management positions in manufacturing, distributing, and other service firms including providers of logistics services. The course focuses on the definition, as well as the application, of a single logic that guides the management of all the supply chain activities. Information decision support systems, primarily computer-based, provide the foundation for this logic. Because the determination of inventory locations and the control of inventory levels play a key role in this logic, we spend considerable time on these subjects. The last section of the course covers ways to lead and organize people to manage cross-firm and cross-functional relationships effectively. After completing this course, students should have the knowledge, skills, and abilities to: • Articulate the process perspective and the total systems view of supply chain management, the impact of systems thinking on firm performance, and the nature of relationships supply chain networks. • Quantify the effect of strategic initiatives such as postponement and risk pooling on the financial performance of the firm, as well as on supply chain performance. • Use and apply selected quantitative tools useful in implementing supply chain strategies. • Explain the complex nature of human interaction needed to successfully introduce supply chain concepts in the firm.This is the prescribed capstone course for the Supply Chain and Information Systems major. It builds upon the fundamental supply chain knowledge, skills, and abilities developed in foundation and intermediate courses. Students must complete SCM 421 before taking this course. SCM 450W is a writing-intensive course. In addition to written assignments encompassing case studies, hands-on exercises, and examinations, student evaluations include oral presentations and class participation. Petersen J., Alptekinoglu A., "Managing Product Returns in Retailing." 2018, Invited. Alptekinoglu A., Semple J. H., "The Exponomial Choice Model: A New Alternative for Assortment and Price Optimization." Operations Research, vol. 64, no. 1, 2016, pp. 79-93. Seref M. M., Seref O., Alptekinoglu A., Erenguc S. S., "Advance Selling to Strategic Consumers." Computational Management Science, vol. 13, no. 4, 2016, pp. 597-626. Alptekinoglu A., Grasas A., "When to Carry Eccentric Products? Optimal Retail Assortment under Consumer Returns." Production and Operations Management, vol. 23, no. 5, 2014, pp. 877-892. Alptekinoglu A., Banerjee A., Paul A., Jain N., "Inventory Pooling to Deliver Differentiated Service." Manufacturing and Service Operations Management, vol. 15, no. 1, 2013, pp. 33-44. Ulu C., Honhon D., Alptekinoglu A., "Learning Consumer Tastes Through Dynamic Assortments." Operations Research, vol. 60, no. 4, 2012, pp. 833–849. Alptekinoglu A., Corbett C. J., "Leadtime-Variety Tradeoff in Product Differentiation." Manufacturing and Service Operations Management, vol. 12, no. 4, 2010, pp. 569-582. Alptekinoglu A., Grasas A., Akcali E., "Is Assortment Selection a Popularity Contest? A Study of Assortment, Return Policy and Pricing Decisions of a Retailer." (Springer), 2009, pp. 205-228, Invited. Smith J. C., Lim C., Alptekinoglu A., "New Product Introduction Against a Predator: A Bilevel Mixed-Integer Programming Approach." Naval Research Logistics, vol. 56, no. 8, 2009, pp. 714-729. [Finalist in the 2003 MSOM Society Student Paper Competition; extended abstract published in M&SOM 6 (1) 98-103.]. Chen Y., Vakharia A. J., Alptekinoglu A., "Product Portfolio Strategies: The Case of Multifunction Products." Production and Operations Management, vol. 17, no. 6, 2008, pp. 587–598. Alptekinoglu A., Tang C. S., "A Model for Analyzing Multi-Channel Distribution Systems." European Journal of Operational Research, vol. 163, no. 3, 2005, pp. 802-824. Tang C. S., Rajaram K., Alptekinoglu A., Ou J., "The Benefits of Advance Booking Discount Programs: Model and Analysis." Management Science, vol. 50, no. 4, 2004, pp. 465-478.